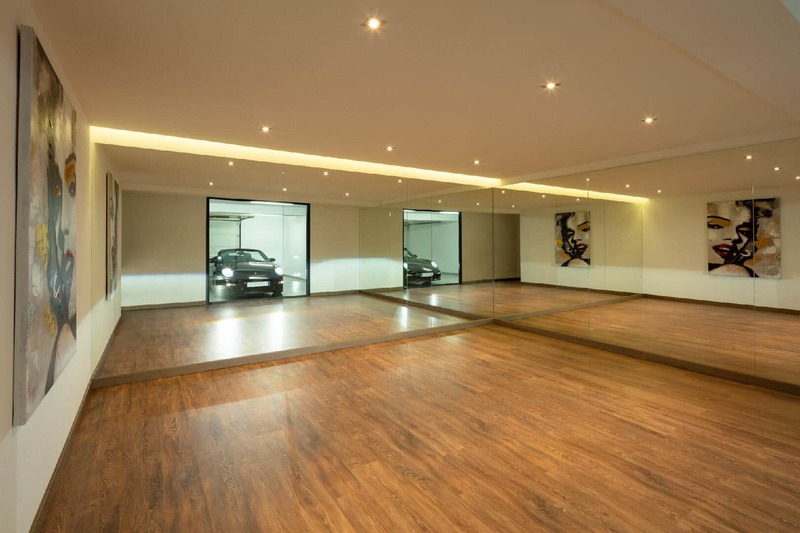 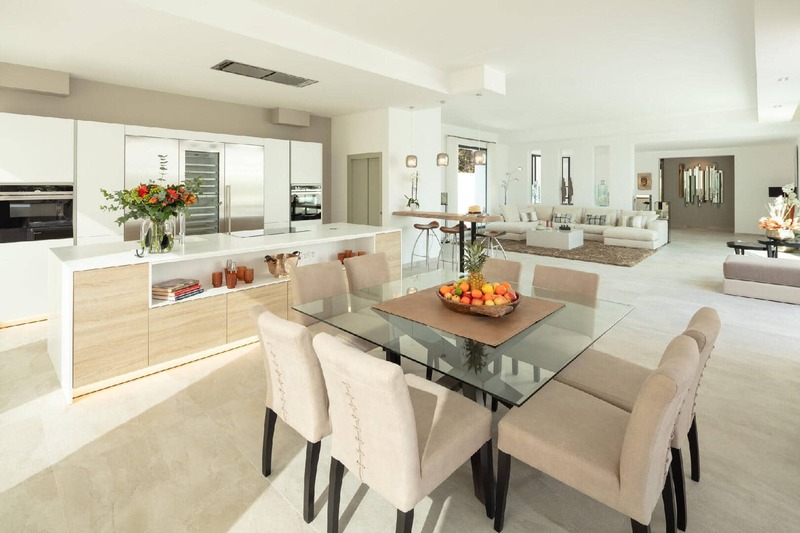 This ‘one-of-a-kind’ villa in Las Brisas has been built with the best quality materials. 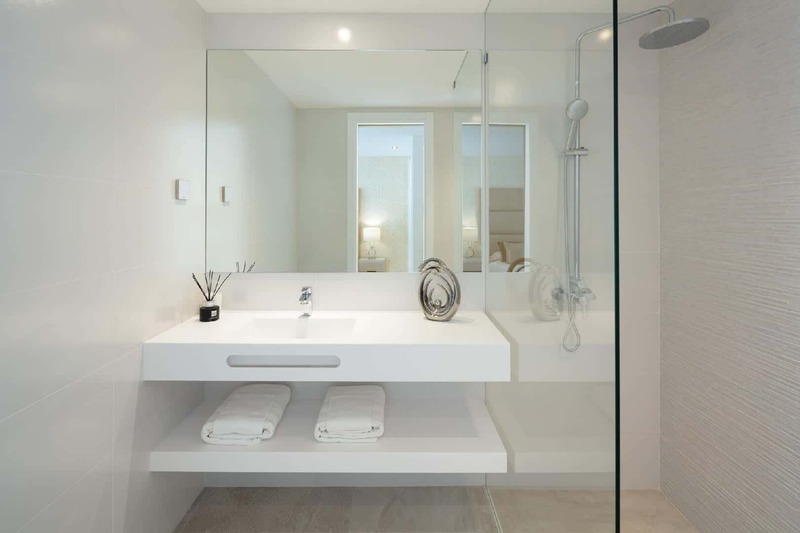 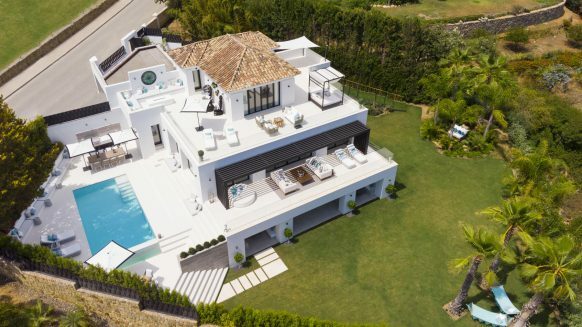 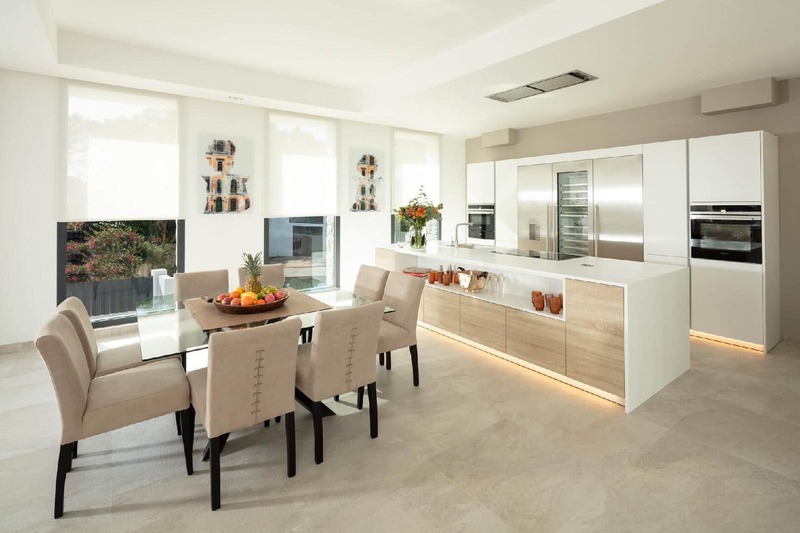 A design statement offering the latest trends in modern lifestyle comfort set in an alluring landscape, in the scenic lush surroundings of Las Brisas, Nueva Andalucia. 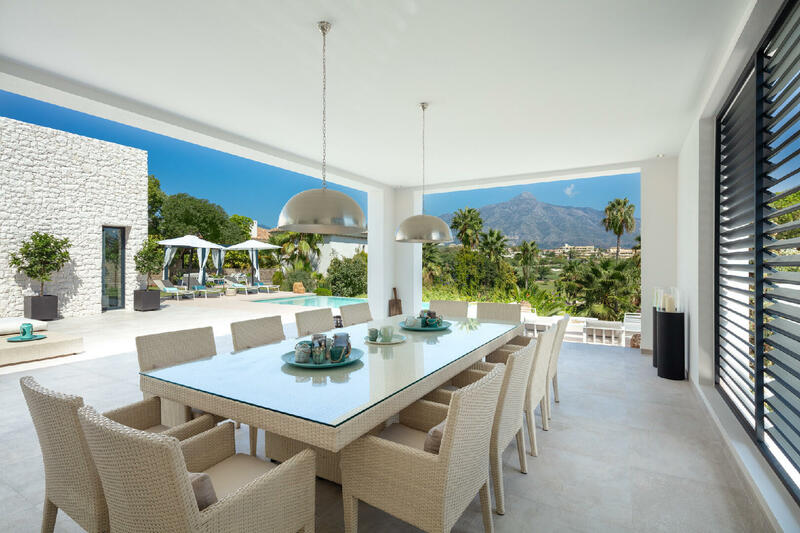 Situated on a plot of 1.321 m2, at the end of a cu-de- sac, the villa enjoys privacy and beautiful views across the golf valley, the surrounding greenery and the Marbella mountain range. 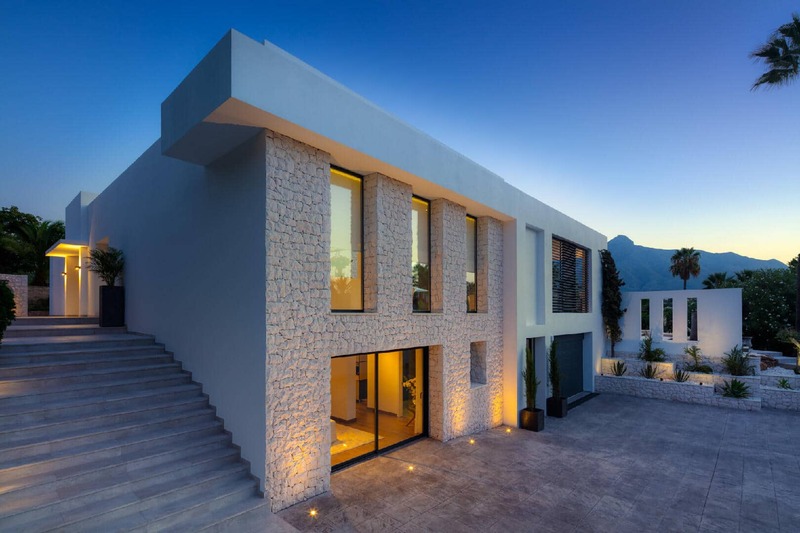 A villa designed with the homeowner in mind. 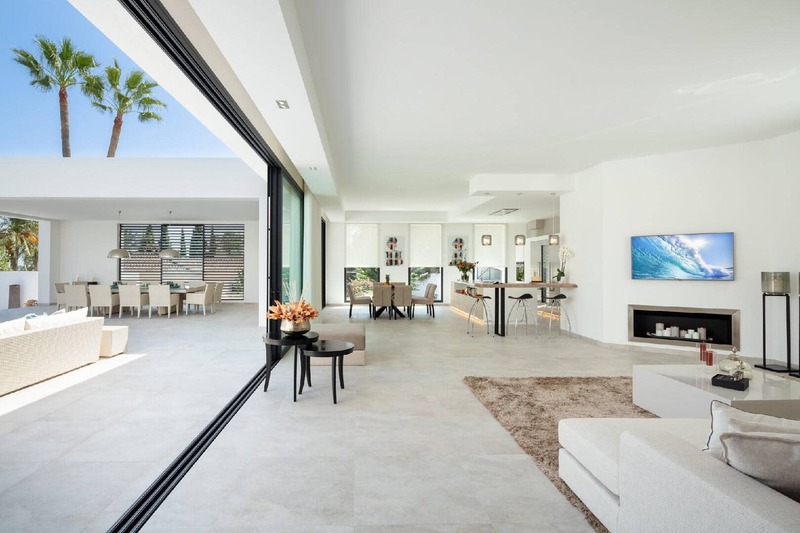 The open plan layout together with huge panoramic windows and sliding glass doors provide the best of inside and outside living. 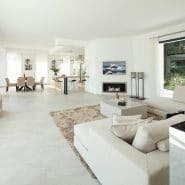 Natural light floods into the living room with fireplace and open plan fully fitted kitchen equipped with top brand appliances. 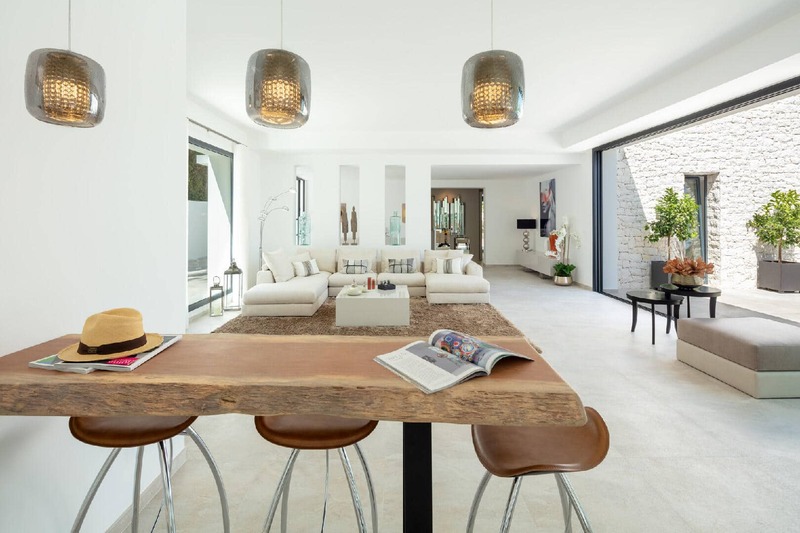 The large terraced chill-out areas with BBQ, the large infinity-pool with stylish wooden deck, solarium, and the garden are there for you to enjoy and entertain. 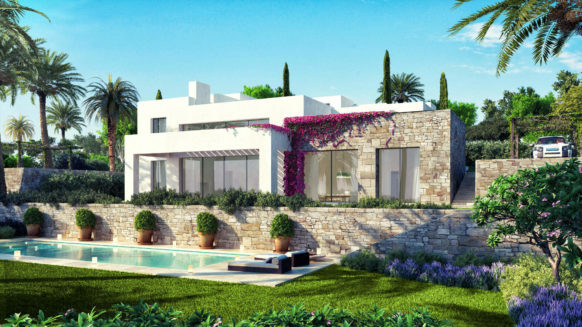 A Las Brisas villa which ticks a lot of boxes for a luxurious buyer to make a beautiful family 4 bedroom home. 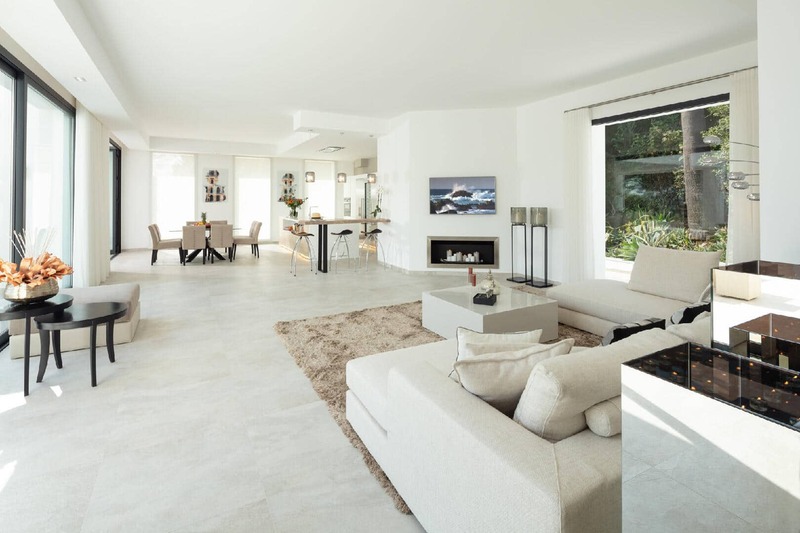 The location is right at the heart of the peaceful and picturesque scenery of the Golf Valley of Nueva Andalucia. 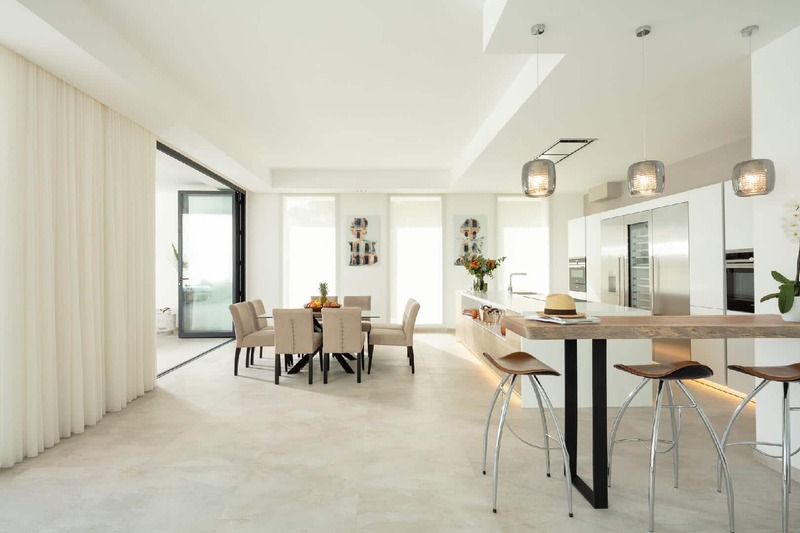 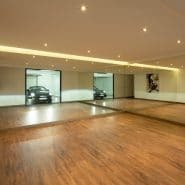 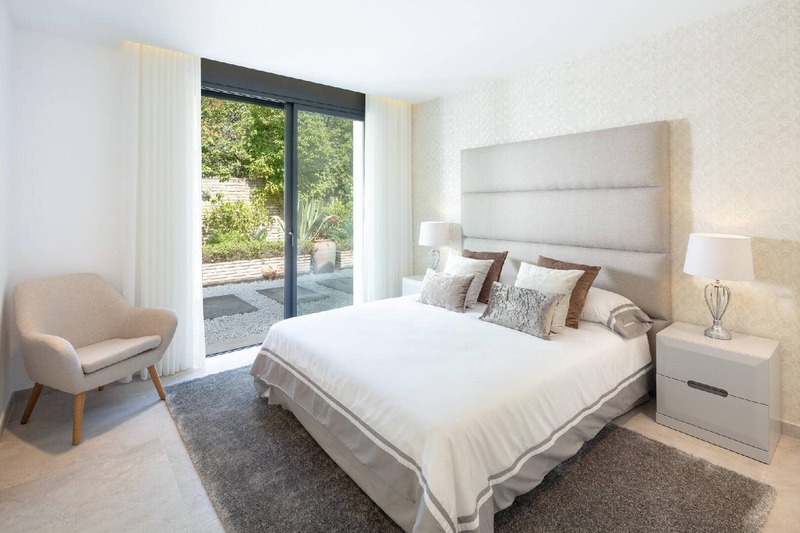 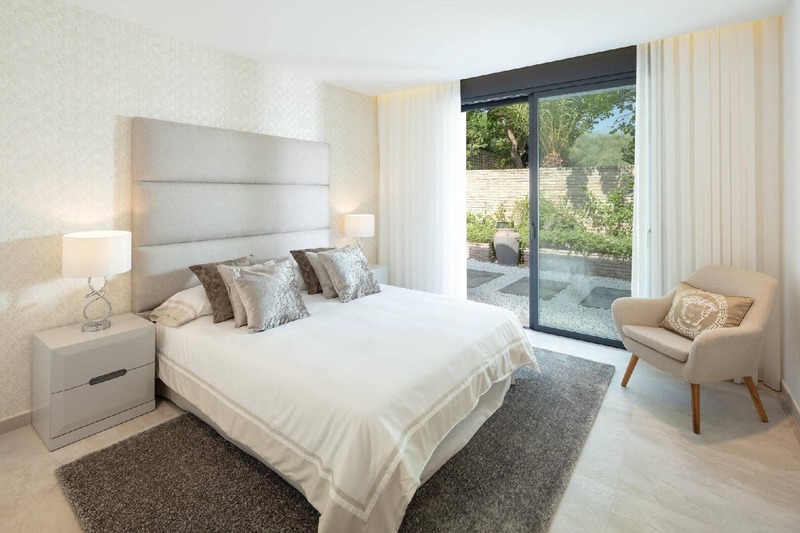 It is in close proximity to a range of renowned golf courses, Los Naranjos and Las Brisas Golf, as well as international schools, bars, restaurants and the luxury harbour of Puerto Banus, and ideally located to make the most of the amenities the local area has to offer. 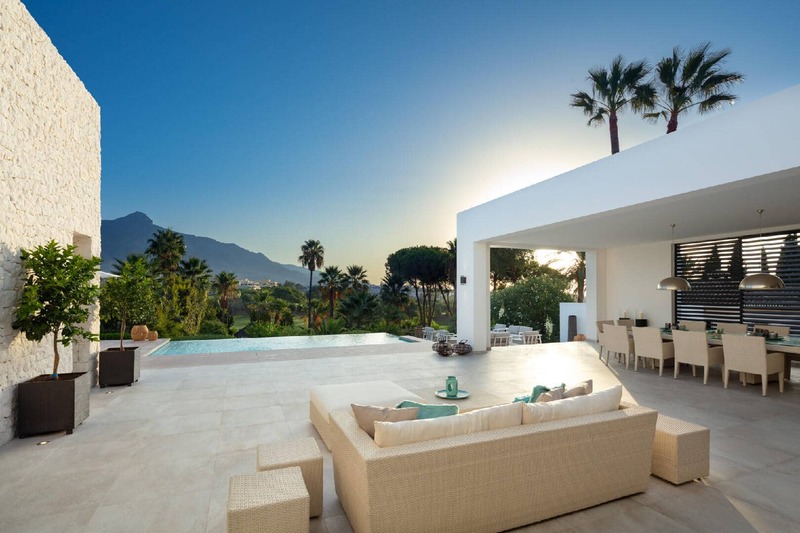 Read more about Nueva Andalucia in our Nueva Andalucia area guide. 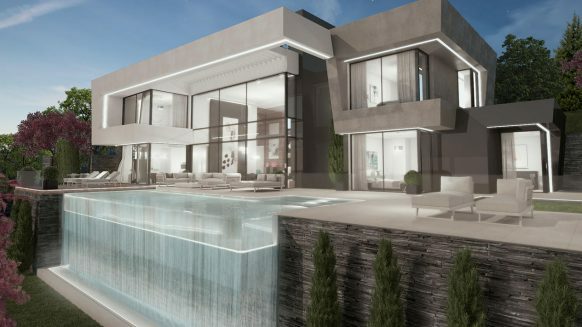 Would like to pay a visit to this villa to see if this can be your future home? 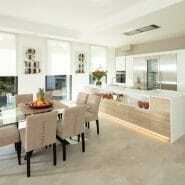 Contact us we will be happy to show you.